French keyboardist Patrick Gauthier is not one to flood the market with product, and when he does release something new, it’s always worthy of note. A former member of Schizo, Heldon, Magma, and more importantly, Weidorje, he has only released four albums since 1981 (although he has contributed to many), and Clinamens is probably his most impressive endeavor to date. 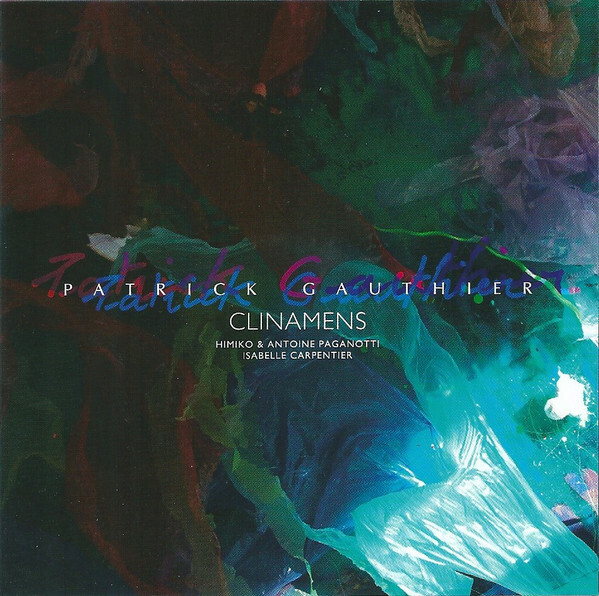 Across the ten tracks at hand, Gauthier’s compositions superbly fall within the spirit of the zeuhl sound, but his arrangements are far more skeletal instrumentally (on nine of the cuts, the only instrument is piano), whereas the haunting and cascading mostly wordless vocal arrangements (handled most capably by Antoine and Himiko Paganotti) are what really make this material here stand out. The voice parts overlay and intertwine, like a complex fabric brilliantly twisting around and crossing over the basic melodies and percussion of Gauthier’s piano, sometimes soft and gentle, sometimes more punctuative, and like all good zeuhl, repitition is important; the effect is almost magical. Three of the cuts do have lyrics, and on two of those (“Nathalie C.” and L’Oiseau”) the addition of third singer Isabelle Carpentier ratchets up the shiver factor even more. Some may remember the Weidorje track “Vilna” (it’s one of three cuts on the original LP), and Gauthier presents a fresh new version of that piece here, with a arrangement compatible with the rest of the pieces, with none other than bassist Bernard Paganotti (who played on the original) joining in. The disc closes with a solo piano version of “Sur un Marche Persan,” a vocal track presented in the number four spot. In summary, this is mighty powerful music, beginning to end, and every fan of the zeuhl style should have this.